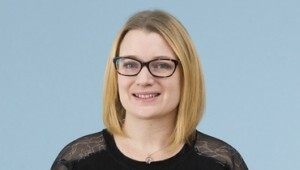 Jenny Waight, specialist clinical negligence lawyer based at Thomson Snell & Passmore’s Tunbridge Wells and Dartford (Thames Gateway) offices, has secured compensation for a client who suffered distressing symptoms requiring invasive and painful investigations after a pharmacist negligently prescribed the wrong medication to her. The claimant in this clinical negligence claim was a 46-year-old lady who had been taking HRT for several years and this had been successful in controlling her menopausal symptoms with no monthly periods. The claimant took a type of medication called Elleste Duet Conti and she was given a repeat prescription for it by her GP. She took her prescription to the pharmacy at Asda in Sittingbourne, Kent, and was given the tablets by a pharmacist. She began to take them and after about a month she began experiencing period-type pains and heavy bleeding. She had not had a period for seven years and so when this happened again the following month she went to her GP for advice. He sent her for a scan but this was inconclusive so she was referred to a consultant gynaecologist and obstetrician at the Medway Maritime Hospital in Kent. During this appointment it was discovered that in fact she had been provided with Elleste Duet tablets rather than Elleste Duet Conti tablets as per the prescription presented to Asda. In order to ensure that there was no sinister cause for her bleeding, the consultant recommended that she undergo an ultrasound scan and also a hysteroscopy, which were both undertaken during that appointment. The scan showed that there was nothing wrong with the claimant and she was immediately put back onto the correct medication. As a result of the incorrect medication being prescribed to the claimant, she had to undergo a very uncomfortable and painful hysteroscopy and have the distress of not knowing for over three months the reason for her bleed. There was also a change in her previously well-controlled menopausal symptoms from which she continues to suffer as well as the period-type bleeding. It is expected that both these symptoms will resolve in time. Asda initially denied that their pharmacist was to blame but finally admitted liability when the duty log was obtained which showed the signature of their pharmacist not a locum, as Asda had contended. Jenny Waight, acting for the claimant, was able to negotiate an out-of-court settlement for the claimant to compensate her for the pain and suffering that she had endured. Jenny Waight specialises in medical negligence cases. If you would like to ask Jenny a question about a potential case, or if you have a general query about any medical negligence, contact Jenny on 01892 701374 in confidence.